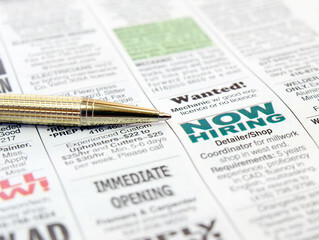 The sunny job market in Greater Houston encourages people to move here in anticipation of employment and stable lives. This vitality compels CRR to serve even more clients than in the past, and more workers with the mid-skills employment talents (requiring a certificate or a two-year degree in fields such as manufacturing, logistics, construction and energy) categorically needed in Houston today. As well, those whose skills are no longer relevant in this high-tech job environment, are encouraged to return to school to learn skills that will help them find employment. Job Search Skills Training: guidance for effective resume preparation, interview coaching, salary and benefit negotiating techniques. Job Bank: up-to-date employment listings for local companies, universities and government agencies. Clients are provided access to computers, copier, fax machine, and phone. The job bank is available M-F from 9am to 4pm.